SET THE SAILS FOR YOUR CAREER AND LIFE! ♦ Does Your Life Seem to be Moving Out of Your Control from What You Want? 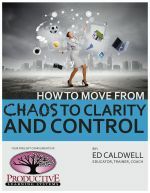 How to Move from Chaos to Clarity and Control! Develop the confidence that you are a seasoned professional, so colleagues recognize your value, even if you are just getting started. You’re not alone! We’ve helped 100’s of entrepreneurs, managers, executives, and hard working individual contributors like you to easily realign their thinking and decisions with the simple strategies revealed in this Free Special Guide. Click here if you would also like to receive awesome, exclusive offers to support you in your quest (such as programs not available to the public, discounted offers and more). Click here if you would also like to receive other incredible free resources (such as tips, documents, checklists, roadmaps, video trainings and more. Book your FREE 45 minute no obligation complimentary session.